Here at the CRC we can treat scar tissue formation following acne, surgery, accident, disease or any other significant trauma to the skin. Unfortunately we cannot completely remove the scar (as we would essentially be replacing an old scar with a new scar); however, we can greatly improve the appearance of the scar. At a scar revision consultation, we will assess the scar and work with you to determine the correct treatment plan for you. Scar tissue is a hard fibrotic type of tissue that develops as a result of a complication of the natural wound healing process. For example, some of the skin’s cells have been destroyed. Skin is predominately made up of collagen fibers. However, its normal alignment, its elasticity component and the functionality of the original tissue have been significantly altered. There are many different types of scars, some of which we are unfortunately unable to treat. 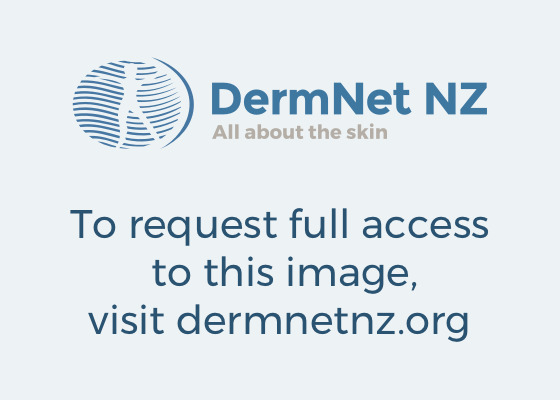 The most common scars seen are either a thicker elevated or lumpy demarcation on the skin’s surface and appear a different colour to that of the surrounding skin. In some cases, scar tissue can develop and appear more sunken and depressed into the skin. These scars are common as a result of acne. On the rarer occasions, there are scars that can develop outside the margins of the original wound area and are quite raised. These scars can develop spontaneously and not just from trauma. Unfortunately, this type of scar tissue is essentially untreatable due to its uncontrolled nature. What treatments improve the appearance of scar tissue? To improve the overall appearance of scars, the collagen needs to be realigned through the use of medical grade therapies such as skin needling or pearl fractional laser, which is a fractionated resurfacing laser. Both modalities are able to penetrate deep into the dermis. A topical anaesthetic is applied prior to the commencement of both treatments to minimise your discomfort. Skin needling for scar revision utilizes 2mm titanium microneedles that penetrate deep into the dermis to the point of pin-point bleeding, which results in breaking up scar tissue, and encourages the formation and remodelling of collagen. A topical anaesthetic is applied prior to the commencement of the treatment, so you only tend to feel a mild pressure placed on the skin but are never in discomfort. Skin needling treatments are not just limited to the face, this treatment can be utilised anywhere on the body. The procedure for the full face can take up to one and a half hours to perform. But for small individual scares the treatment time is much less. Is there any post procedure downtime? Clients can expect to have 3-5days of down time from this procedure. 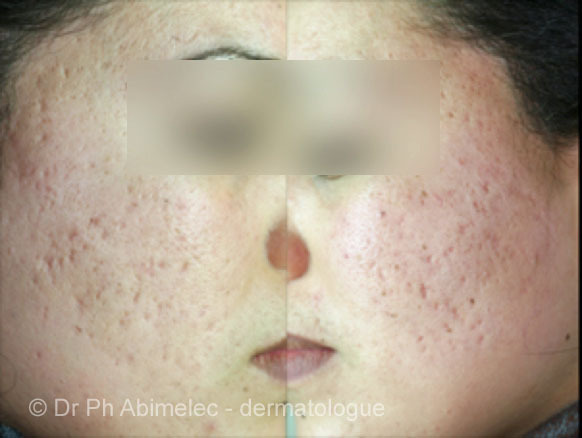 Initially post-treatment the skin can appear like a moderate to severe sunburn, accompanied by a mild degree of swelling and pinpoint bleeding. This can last up to 72 hours post treatment. Over the first few weeks the skin will feel taut. As the collagen formation can take up to three months to realign, results may not be visible until around this time frame. The stimulation of collagen production, however, can last up to 12 months following the procedure. It is a treatment that keeps on giving. Multiple treatments required to achieve best results. These are performed at minimum of three-month intervals, but full results are not seen until 6-12 months. Another treatment used for scar revision is the pearl fractional laser which is an ablative fractional laser. This laser breaks up the scar tissue by essentially creating multiple tiny pin-prick burns, whilst sparing the surrounding tissue in order to assist with the healing process. Essentially causes multiple tiny columns of burnt tissue within the skin. In other words, this treatment removes columns of scar tissue, allowing for the formation and production of new collagen. In other words removes a fraction of the skin essentially re-wounding the skin to allow new collagen formation. This treatment is similar to that of skin needling but a lot more intense, with a little more downtime but with results that speak for themselves. Following treatment the area will appear like a moderate to severe sunburn. There can also be a moderate degree of swelling and in some cases pinpoint bleeding or other clear exudate can be seen, followed by some scab formation. This process can last five to seven days. Again, similar to what you may experience post-skin needling, the skin may feel taut, and the redness in the area can last up to four weeks before it completely diffuses. Topical anaesthetic is applied prior to commencement of treatment, so clients only tend to feel a mild pressure placed on the skin but can only feel a little discomfort. What changes can I see following the treatment? First results are seen around the three-month mark but results can continue to improve for up to 12 months. This treatment can be performed as early as six-month intervals but is more commonly performed every 12 months, due to it being a more aggressive treatment. As this procedure achieves better results than that of skin needling one or two may only be needed. An initial scar revision consultation with a dermal clinician is required prior to both treatments and in some cases, when a more intensive treatment is necessary such as the pearl fractionated laser, a consultation with our Plastic Surgeon is required in order to prescribe any medication needed for treatment. Both of these procedures are performed in a fully sterile environment to eliminate any chance of infection. Home care products are also incorporated into the treatment. Several review appointments are required following both treatments at different stages of healing, and these appointments are included in the costs of each treatment. All scar revision consultations are $50.00, for both procedures and are necessary to determine a correct treatment plan and if treatment is right for each individual client.